This February, the Florida Fish and Wildlife Conservation Commission (FWC) will be discussing a new shark fishing permit. The program will require anglers to receive a free fishing license that consists of an education course on shark conservation practices. Major goals of the new restrictions include allowing more sharks to survive catch-and-release fishing while recording how many people fish for sharks in Florida waters (which is currently not being tracked). Public interest in perceiving beaches as safe to swim in are also goals of the new plan. It will restrict “chumming,” the process of adding fish parts such as bones and meat to the water to attract sharks, despite limited evidence that chumming makes swimming beaches more dangerous. The new regulations will also limit where shark fishermen can cast from shore. 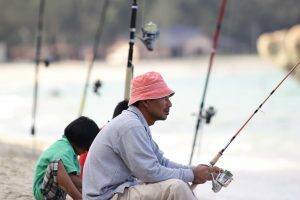 “Blue collar anglers” have raised concerns about these restrictions, claiming that they’re running out of land-based angling options and cannot afford access to fishing boats. 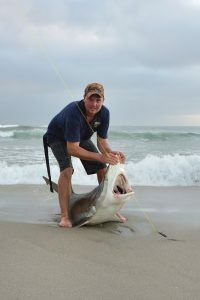 While social impacts are hotly debated, the new registration process will require shark anglers to take a course that teaches best practices for catch-and-release fishing. This education component is designed to prevent incidences like sharks being hauled up on land for long periods of time or being dragged behind boats. Over 40 million sharks are killed by humans each year. Education programs like the one up for consideration this month could help keep the pressure off of the remaining sharks in Florida’s waters. Read more about FWC’s commission meetings here, and learn about the 26 species of shark protected from harvest at the FWC’s shark fishing page.